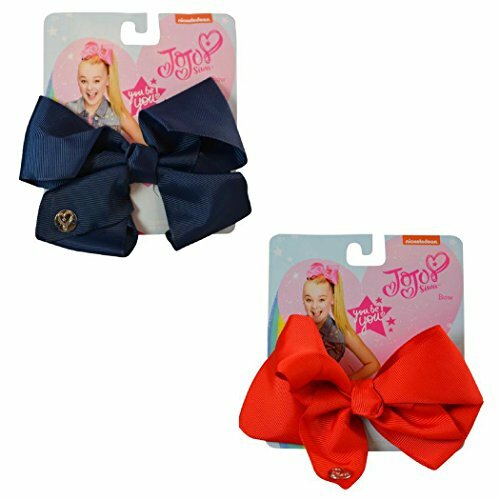 This product is a nickelodeon JoJo Siwa Medium Bow Bundle Gift Set. The available colors are 1 Red and 1 Navy Bundle Gift Set. The sizes of the bow are 6 inch x 4 inch. The bows are made of grosgrain ribbon and set on a standard alligator clip. This item is authentic and is officially licensed by nickelodeon JoJo Siwa. If you have any questions about this product by nickelodeon JoJo Siwa, contact us by completing and submitting the form below. If you are looking for a specif part number, please include it with your message.